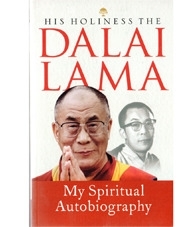 This vivid and moving autobiographical portrait is the first work to be dedicated to the Dalai Lama’s spiritual journey. Personal in tone, but universal in scope, it presents the arc of his spiritual vision from his boyhood in rural Tibet, through his life as a monk in India, to his exile as one the world’s most visible leaders. His Holiness’s unique spiritual formation and the unusual course of his life mean that his opinions on religion and politics are listened to with respect and admiration. Here, he gives his views on topics as diverse as the environment, his successor and religious militancy. At the same time, his thought-provoking spiritual insights provide and inspiring example, encouraging us to combine love and compassion in all that we do.